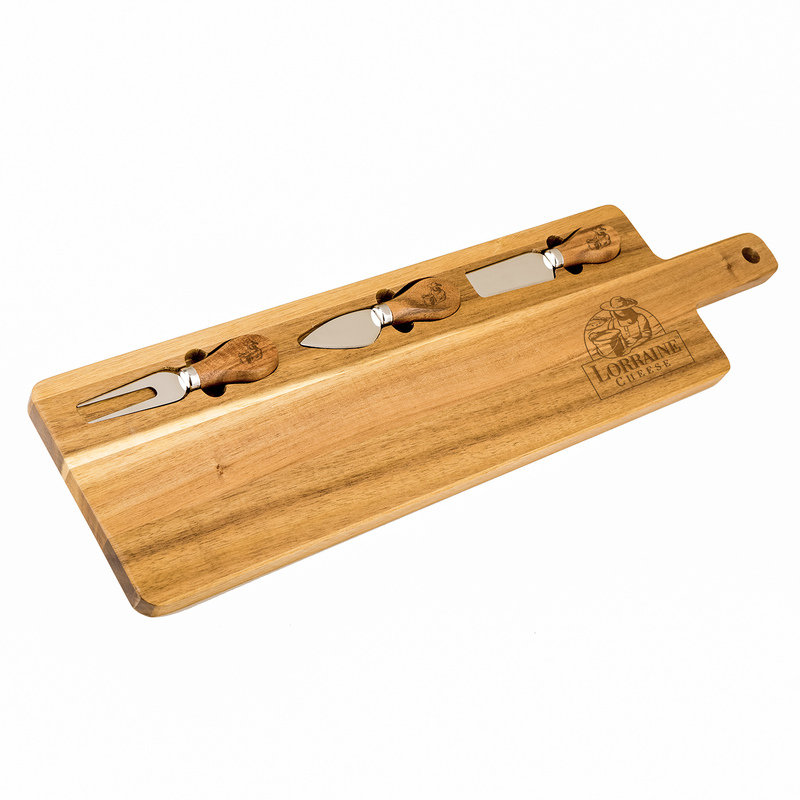 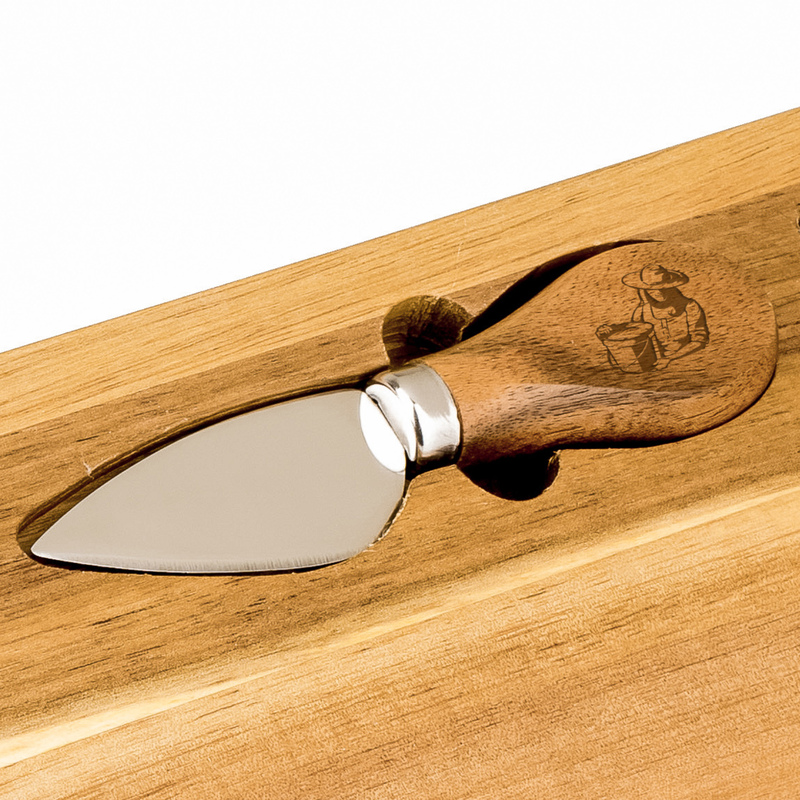 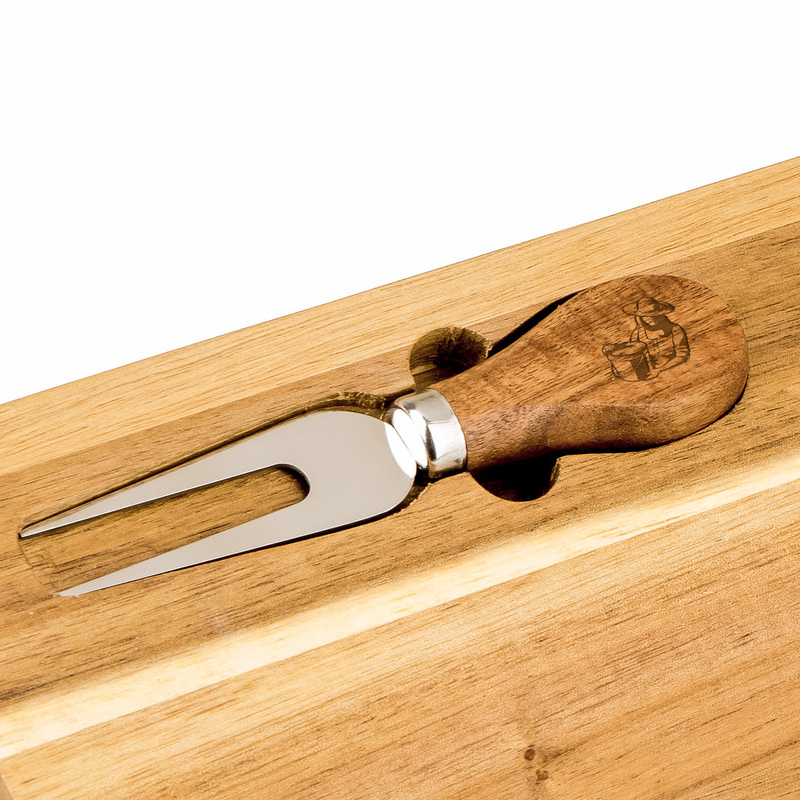 Crafted from Acacia wood, this premium 4 piece cheese board and utensils set includes stainless steel cheese knife, spatula, fork and a 100% acacia wood paddle board. 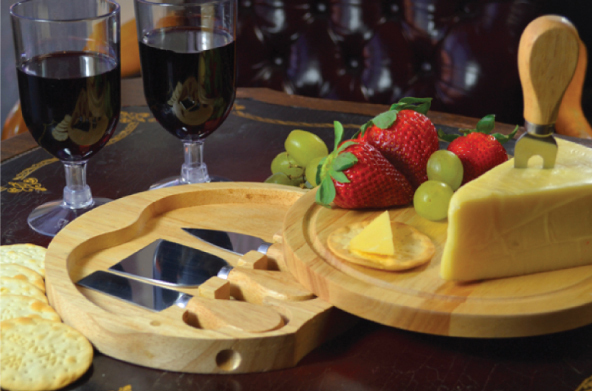 Perfect for elegant presentation of cheese, crackers, bread and appetizers. 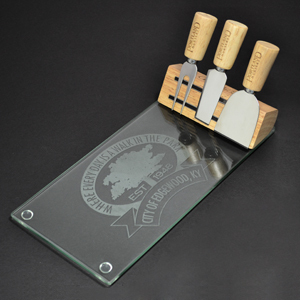 Pricing includes one location laser engraved logo on board. 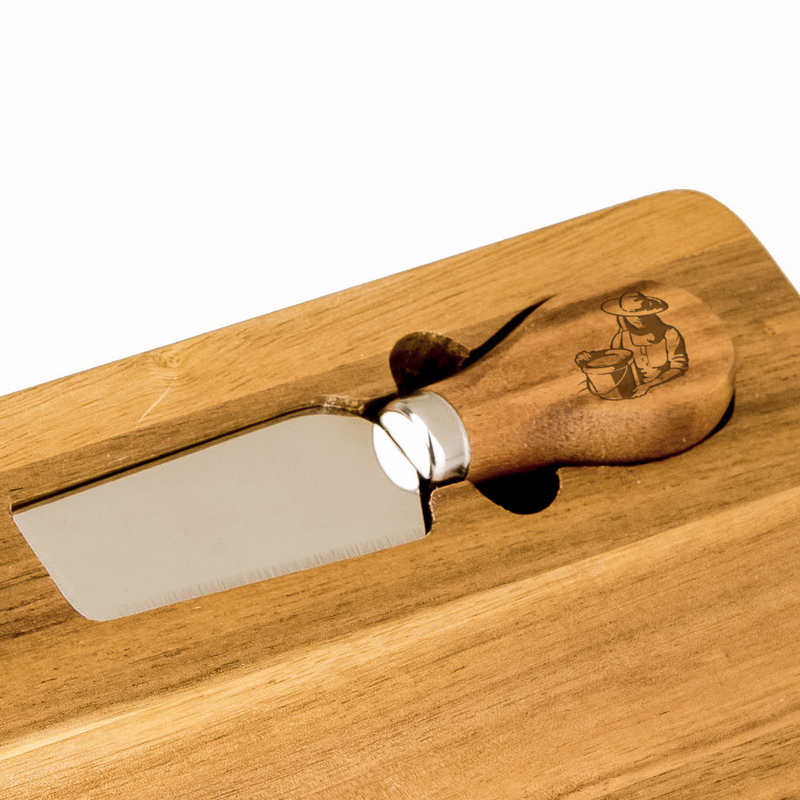 Pack Info. 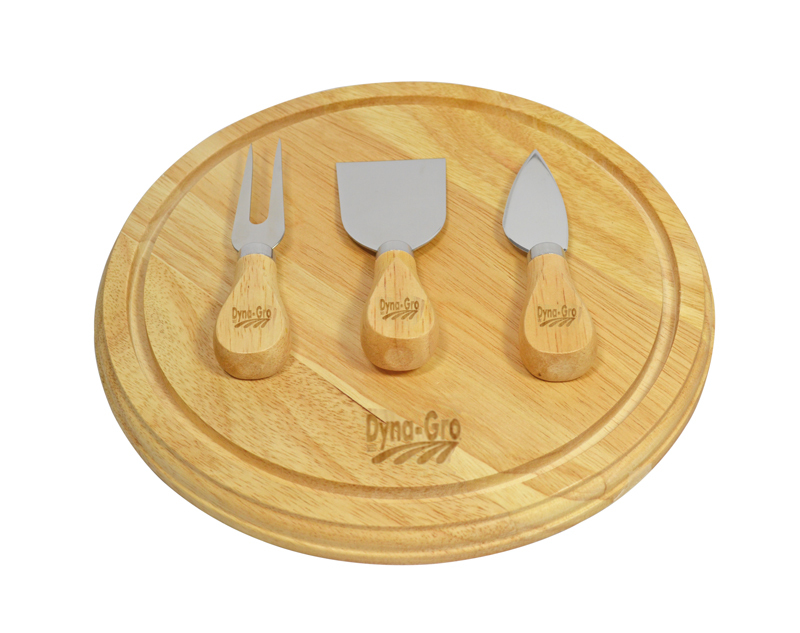 : 10 pcs / 19.00 lbs.